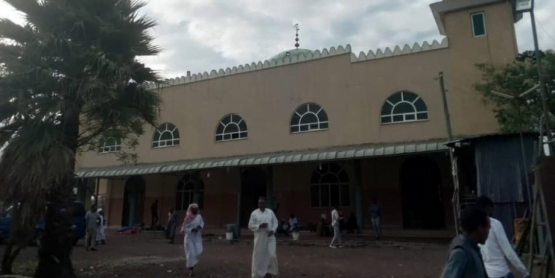 Exclusive: Are Indian companies “grabbing land” in Ethiopia? 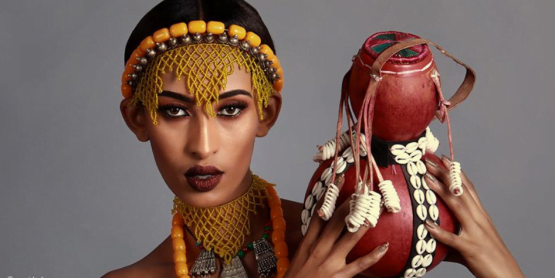 Addis Standard – History tells us relations between Ethiopia and India were first established more than 2000 years ago when Indian traders came to the “ancient port of Adulis “in eastern Ethiopia and traded “silk and spices for gold and Ivory”. Do you think today’s relations – both diplomatic, economic and cultural – between the two countries is as reflective of this ancient history as it should have been? Amb. Sanjay Verma – Indians share a high comfort-level with Ethiopians. This is, in part, because of our historical connections and cultural similarities. I feel that we are building on this early advantage. Today, we are one of Ethiopia’s biggest economic partners. It is with some satisfaction that I can say that every day an Ethiopian goes to India either to join a University or a training program. Two daily flights also connect us. Our relations are deeper and broader politically and economically than at any time in the past. If we look at the public diplomacy, for example, it was a common site for many Ethiopians to find Indian teachers living in many parts of deep rural Ethiopia; that is no longer the case now, if I am not totally mistaken, and many say the large Indian community currently living in Ethiopia has never been as isolated. Don’t the people of the two countries have anything in common anymore? There is more in common than differences between our countries. We are civilized states. Our societies are religious, but with a secular political order. We are diverse and democratic. Till some years ago, the standard and stock image of Indians in Ethiopia was that of school teachers. In fact, there is scarcely anyone in authority who at some point, as a child, was not taught by an Indian school teacher. Then, by law, foreigners were not allowed to teach in local schools. If this door is opened again, I am sure there will be many Indian teachers who would want to locate here and continue that wonderful legacy. But, may I add that the tradition does continue in a different way? 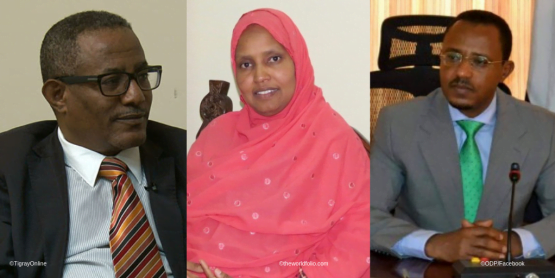 Currently there are about 1000 Indian lecturers/Professors in many Ethiopian Universities like Addis Ababa, Bahir Dar, Gonder, Awasa, Adama, Ambo, and Mekelle. I have had the occasion to interact with some of these Professors who have mainly joined the engineering, sciences, mathematics, management, economics, textile, maritime departments of these universities spread all over the country. They represent yet another dimension of the India-Ethiopia partnership in capacity building in the education sector. Let’s talk about economic relations between India and Ethiopia in particular and India and Africa in general. The first decade of the millennium was often referred to as a period when India and China were racing for dominance in the continent Africa. It looks now India has dropped out of that perceived race. What happened? This is no race. Frequent comparison of India and China as a zero-sum game is a creation of the media. As our former PM once said, the world is big enough for both India and China. We may be the world’s third biggest economy (PPP), but we are a developing society too with challenges of our own. Our relationship with Ethiopia and other countries in Africa is conducted within our limitations and strengths, but with an overt desire to share what we can. Our engagement with Africa didn’t begin in this century, but much, much earlier. Our trade and people to people linkages go back millennia. Even the Father of the Indian nation, Mahatma Gandhi lived a good 20 years in Africa before he returned to India to lead the independence movement. To briefly share with your readers the extent of our current engagement with Africa, let me say that our trade with the continent is about US$ 80 billion and our investments here are about US$ 33 billion. Our capacity building initiatives, including the 22,000 scholarships/training slots are aimed at enhancing the socio-economic development of the continent. Over 80% of Indian troops deployed worldwide in peacekeeping operations numbering 6600 are in Africa. Our Lines of Credit to Africa are about US$ 7 billion and account for more than 60% of our credit lines world-wide. But looking at Indian companies’ portfolio in Ethiopia there were close to 600 of them with an estimated capital of more than US$4 billion between the years of 1992 – 2011. That massive estimate of investment didn’t happen after all with an actual investment today of a little over $US1 billion; Indian export to Ethiopia has also continued to show little progress. Is Ethiopia not really that place where Indian business dreams can come true? One of the strongest links between India and Ethiopia is one that is provided by Indian investors here. Available figures by Ethiopian Investment Authority (EIA) suggest that private Indian investors are the biggest foreign investors in Ethiopia. Our licensed agreements amount to over US$ 4 billion. Of which, in our assessment, about US$ 2 billion is already on the ground. Two hundred Indian companies are operational and another 100 are in the process beginning their operations here. It does not bear out that Indian investments are slowing down in Ethiopia. As a matter of fact, The Indian Embassy receives at least 2 to 3 investment related enquiries a week from India. Our bilateral trade is also growing rapidly. India is amongst the top most trading partners of Ethiopia. Our trade in 2013 crossed US$ 1.22 billion. Indian exports to Ethiopia actually grew over 37% last year. During the first India-Africa Forum Summit in 2008, your former Prime Minister Manmohan Singh announced the start of the Duty Free Tariff Preference Scheme (DFTP) for Least Developed Countries (LDCs) including Ethiopia; and yet Ethiopia’s export to India, although, as you said, has quadrupled over the last 10 years, it remained a small amount at just between US$30- 35 million a year. It is very clear that India has a large market for Ethiopian pulses and oil seed, to mention few. Where can one trace the problem? It is true that India has offered DFTP for Least Developed Countries, including Ethiopia, to encourage exports. This DFTP covers about 94% of our tariff lines. Our bilateral trade figures suggest that the trade is heavily skewed in India’s favour. This must be addressed to make it sustainable in the long-term. Pulses and oil seeds are big export potential items to India. We import about 30 to 40 million tones (MT) of pulses every year. This includes 6 MT of Pigeon Pea; 4 MT of Chick Pea; and 10 MT of Black and Green Gram, which Ethiopia can target to meet. We also import some oil seeds, but edible oils are definitely a bigger option for Ethiopia if [its] oil seeds are processed to oil. We are the world’s largest importer of edible oils at about 12.4 million metric tones (MMT). Of this, 9.4 MMT is the market for Palm oil; but 1.5 MMT of Soya oil and 1.5 MMT of Sunflower seed oil is also imported. These are some options for Ethiopian exporters. A new beginning can be made by Ethiopian exporters by participating in Indian trade fairs or mounting missions focusing on the pulses and edible oil market. This period (the year 2008) was also a year when some 92 Indian operated investment projects had invested a total of US$ 1.8bn, according to EIA. That figure is now down to less than half. Is it safe to assume that Indian investment heyday in Ethiopia is coming to a decisive crossroads? Indian investor’s interest in Ethiopia continues unabated. As mentioned, the number of new business and investment enquiries continue. 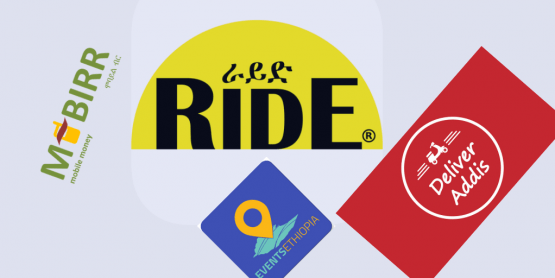 A discernable trend is that while majority of the early Indian investments in Ethiopia were from relatively smaller companies, today the sense is that SMEs, including iconic Indian companies are also looking to investing here. Recently, one of our most respected and a super brand paints company, Asian Paints acquired controlling stake in the local company Kadisco. Asian Paints is a household name in India. 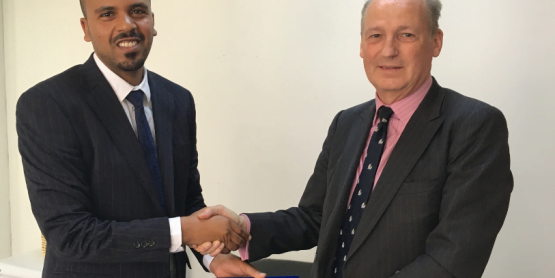 It also has a multi-national presence, like Pidilite (Fevicol), another Indian company in adhesives, and that already has a market presence in Ethiopia, but has now chosen to manufacture here as well. Similarly, SVP, a textile company from Mumbai, is setting up Africa’s biggest cotton spinning plant in Khambolcha with half a million spindles. Another Dubai-based Indian investor is setting up a state of the art garment factory in Mekelle, apparently a factory so advanced that none such exists even in India. These are illustrative of the Indian interest in investing in Ethiopia. 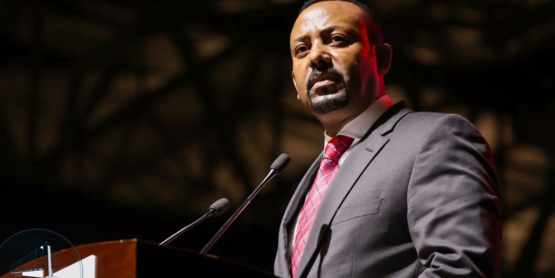 Claims of land grab by international media and think-thank organizations have certainly played a negative role in portraying Indian companies’ investment in Ethiopia. And when one looks at the 600 thousand hectares of land in the hands of Indian companies given to them by the government in Ethiopia at a giveaway price, such claims tend to substantiate themselves. Do you agree that Indian companies are “grabbing land” in Ethiopia? Presently, over half of the Indian investments in Ethiopia are in the manufacturing sector. The first Indian investments here were, however, predominantly in the agricultural sector and these accounted for about two-third of our investments at that point. Ethiopia has about 74 million hectares of arable land. Eighteen million hectares is under cultivation. About 3 million hectares was set aside for commercial farming. And over 1 million hectares was leased out to companies, including foreign, local and the Diaspora. As we understand, the foreign investors were offered land in otherwise remote, inaccessible areas which required development by the pioneering agricultural investors, before the land could yield. The land was given on attractive terms because of the huge challenges involved in making the investments worthwhile. This has to be recognized. Moreover, foreign companies signed leases with the Ethiopian authorities; they were not into “land grabbing”. Now, because commercial farming was a new phenomenon some Indian investors over estimated the returns and underestimated the challenges in turning around their far flung tracts. 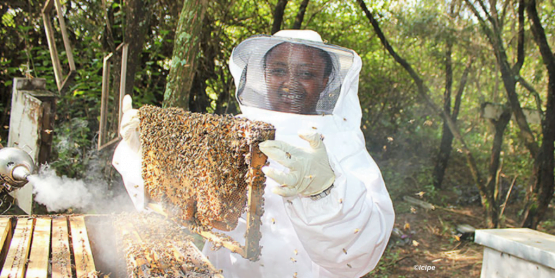 Agriculture is a comparative advantage for Ethiopia. Indian investors see themselves as being part of the solution not the problem. I am seeking the support of the Ethiopian Government in addressing the genuine difficulties being faced by my investors in achieving what is a shared objective. The Government of India separately is also supporting a Farm Science Center in Ethiopia to further the prospects of this sector. And I can foresee new Indian investments in the food and meat processing sectors to close the loop. Not all countries have the historical advantage of nation building on green field terms. But, nor do developing countries envy the geo-political manipulation and hypocrisy in undermining political sovereignty and sanctity of national borders violated by advanced states. Yet, some comfortably ensconced organizations are being able to run away with charges of “land grabbing,” innocent or ignorant to the double standards and hypocrisy they uphold. But there is a backlash, or at least according to reports, that an attack in Oct. last year by local people on the Indian-owned Verdanta Harvest Plc. had cost the company some US$140, 000. 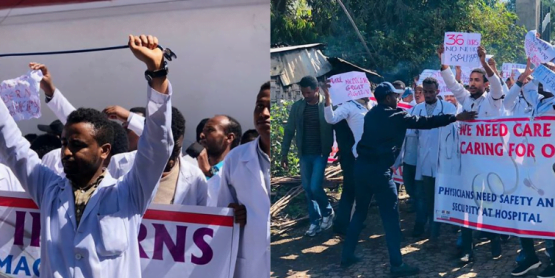 Do you believe this incident was related to local people’s resentment at such deals between the government in Ethiopia and Indian companies? The incident you refer to is illustrative of the teething problems that surround the pioneering investors. Demarcation of the land allotted and clarity on that at the regional level was, as I understand, at the centre of the difficulties that visited Verdanta. I am seeking the attention of the Ethiopian Government to resolve these issues, which can reoccur, including some others, which Indian investors in this sector have raised with their Embassy. I am looking forward to working with the relevant Ministries and departments in Addis [Abeba] and the regional States where these investments have been made, for a mutually advantageous outcome. What message did this incident send to Indian businesses already in Ethiopia, or were on their way to invest in Ethiopia? We know that unlike their Chinese counterparts, Indian businesses are mostly from the private sector, and therefore very sensitive about such incidents? You are right, while the Indian Government engages extensively at the bilateral level with Ethiopia on capacity building, education, Human Resource Development and through Lines of Credit of over US$1.1 billion our investments here are exclusively by Indian entrepreneurs and businessmen. I am happy to report that these investments continue to increase and as such stand testimony to the bright prospects that Ethiopia holds for FDI. In 2006 Ethiopia requested the Indian government for a US$640 million in concessional lines of credit to finance the development of the Sugar Industry. Part of this financing was directed to the setting up of a green field project at Tendaho Sugar factory. 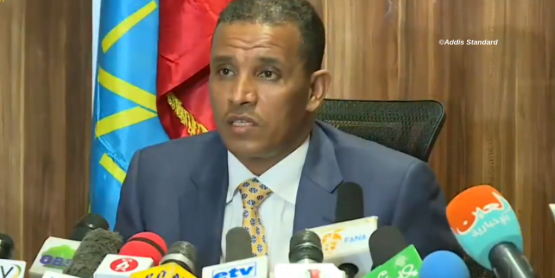 A few weeks ago Shiferaw Jarso, the director general of the Ethiopian Sugar Corporation, bitterly complained saying the project was delayed because India was reluctant to release the money. Do you think it was a fair complaint? India takes great satisfaction in being an important enabler in Ethiopia’s plans to become the biggest sugar exporter in Africa. Under our Lines of Credit of US$ 640 million we are extending support for three sugar factories in Wenji Shoa, Fincha and Tendaho. The first two are almost complete. The Tendaho project has seen delays and is slated for completion shortly. Delays have affected the plants because of difficulties on all sides. 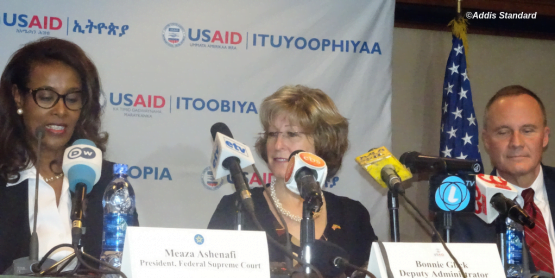 Of the US$ 640 million, disbursement of US$ 450 million has already taken place. Funds are disbursed on a continuous basis as per completion of different phases of the factories. We are looking forward to the early completion of the three sugar factories. Let’s look at India-Africa at a glance. India’s former PM Singh pushed through an aggressive diplomatic and business relation between India and Africa and for a while it seemed it worked. 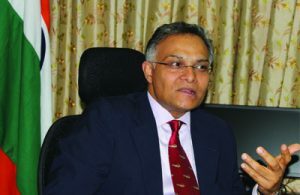 In May 2011 here in Addis Abeba, he promised India would promote regional integration in Africa particularly through infrastructure and institutional capacity building. But in Nov 2013, Secretary Ravi Bangar of the ministry of foreign affairs (if I am not mistaken) told some 15 African Ambassadors to India, including Ethiopia’s Amb. Genet Zewde, that, I quote: “in several cases AU and the RECs have failed to nominate hosts…where hosts have been nominated, [they] have been unable to nominate locations…” What does that say about India-Africa relations? India’s engagement with Africa works at three different levels: Continental, Regional and Bilateral. For instance, in the India-Africa Forum Summit in 2011, we announced the setting up of 6 Institutions supported by India at the Pan-Africa level, like Food Processing Cluster and Textile Cluster. On the Regional-level we promised to work with Regional Economic bodies to put up 32 Centres, like a Farm Science Centre and Solar Charging Stations. At the Bilateral level, 40 Institutions were to come up. Some of the projects could have taken off earlier. But we do realize that we are dealing with a continent. The African Union too has to work on the basis of consensus and Regional bodies and countries themselves have to mobilize some resources to complement the support we provide. There were delays, but all stakeholders are committed to an early implementation. I would like to share with your readers that just last week we were informed that the Pan-African Textile Cluster will now be located in Ethiopia. This will be in addition to India’s engagement in this sector in Ethiopia through the twinning arrangement between our National Institute of Fashion Technology and Textile Industry Development Institute (TIDI), our various investments in the textile and garment sector and the Indian Professors in the textile departments of local Universities. Finally, India has a new democratically elected government led by Narendra Modi. The government of Dr. Singh was known for injecting the India-Africa relations with fresh momentum (during his premiership he visited close to a dozen African countries, established the India-Africa Forum Summit, announced DFTP and made concessional credit line worth billions of dollars); what can Africa expect from PM Modi both in terms of reviving that momentum and creating new ones? Our recent national elections where over 520 million voted for smooth transition of power shows that institutions matter in India. There is also a solidity and consensus on issues of national importance, across party lines, especially foreign policy. The new government under PM Modi is the first in 30 years to have a decisive mandate, unencumbered by coalition compulsions. The new government has already demonstrated a pro-active approach to foreign affairs. India’s centuries old linkages East Africa bear a very strong imprint of our western state of Gujarat. The earliest and longest residing Indian community in East Africa come from the state of Gujarat. PM Modi has an a priori understanding of this relationship. He will, undoubtedly, build on this great India-Africa legacy. The 3rd India-Africa Forum Summit is scheduled to take place sometime later this year in New Delhi. This is very likely to be the first big multilateral event to be hosted by the new government, and therefore will be seen as a very important occasion and opportunity to spell out my new leadership’s vision for relations with the great continent of Africa. Let me conclude by saying that the faces may have changed in India, but the smiles will get bigger! 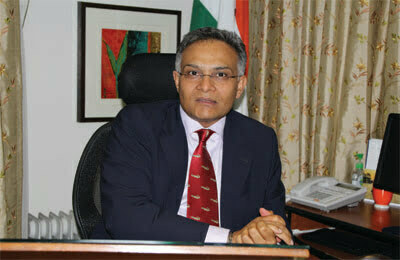 Ed’s note: Ambassador Sanjay Verma grew up in India’s commercial capital Mumbai. A state rank holder in Higher Secondary from Wilson College, he graduated with distinction from Mumbai University’s Jai Hind College with an Honours degree in Economics. 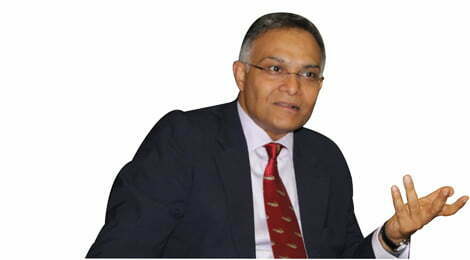 He also holds a Masters in International Studies from the Jawaharlal Nehru University, New Delhi. Ambassador Verma joined the Indian Foreign Service in 1990. As a career diplomat, his overseas assignments have included Economic and Commercial work in Hong Kong; Press, Political and Consular responsibilities in Manila; and as the Head of the Economic and Commercial Wing in the Indian Embassy in Beijing. 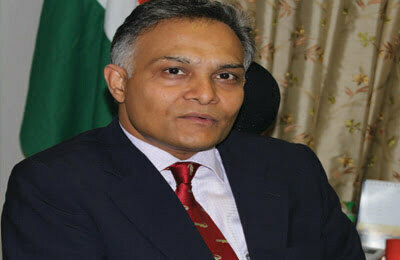 Before Ethiopia, he was the Consul General of India in Dubai, UAE.